Have you ever been afraid of taking medicine? I have. Who knew that there’s actually a name for a fear of medication: pharmacophobia. As if I were once again the 19 year-old girl who quit taking thyroid medication, the day I learned I was diagnosed with Rheumatoid Arthritis (RA), I was convinced there must be a simpler answer – that did not involve long-term medication. I had no idea what an RA diagnosis meant: rheumatoid disease (RD). And I had no idea what Dr. Laptop thought of my questions – until years later when I requested my chart. His notes showed he thought I sounded silly. Really, I was ignorant of a lot of things. Since they hadn’t let me know my lab results during the month I waited for them, I still hoped maybe I did not have RD, and asked whether I could be treated with antibiotics. A few weeks later, my podiatrist helped me get in to see a more reliable rheumatologist. Dr. KBC prescribed DMARDs as treatment and explained to me how they work. I was afraid of them, but at that point, I could barely move, and I knew I had RD. Who’s afraid of the big bad prednisone? Then there was this little bottle that I still have, with the little dose of a medicine I thought was so potent it was dangerous. Prednisone. When I look at the dose, and remember what the nurse told me, it’s hard to fathom. They were 5 mg. tablets. And I was told that while I was traveling with family before I began the DMARDs, if things became completely unbearable (worse than they were? I couldn’t imagine), then I was to take one tablet with breakfast. One. That episode created a misconception that would last for years. I’ll tell you the rest of that story very soon. Fears of medication can be based on information – and they can be perfectly reasonable. Or fears can be based on a lack of information or even misinformation. Each of these fears could be handled in various ways. A person might decide not to take a medication because the risk seems to outweigh the benefits. Sometimes more information is enough to moderate fears. Other times, we decide to take the medicine in spite of fears – hopefully with some support – because that’s our best option. What about you? Have you been so afraid of medication that you had a hard time taking it? Or decided not to? Have you ever decided to take a medicine even though you were afraid? Good morning, Kelly. As a former RN, I’ve never been afraid of medicines until RA – and even then, only recently. My rheum has been encouraging me to start Rituxan infusions for 2 years – and to his credit, he has patiently understood my concerns. According to my rheum and pulmonologist, Rituxan is the only remaining medication I can take because the other biologics hold the risk of making my RA-damaged lungs worse. However, I’ve also been told that the only way to slow the progression of the lung disease (and my anemia of chronic illness) is to be more aggressive in treating the underlying disease. So, after much prayer, last month I agreed to the Rituxan infusions. It didn’t do much to allay my fears when the pharmacist required that she inform me of all the possible side effects and have mean sign an informed consent form – and the nurse informed me that she had the “emergency kit” right there if I needed it. I told the pharmacist that I would sign her form, but that I’d already been informed of all the side effects 2 years ago, and that I didn’t want to go over them again because I now had a measure of peace about taking these infusions. She kindly understood. Less than a year after my RD diagnosis, I started feeling more run down than usual with some chest pain. My rheumatologist discovered very low hemoglobin level and suggested I go to a hematologist. The hematologist sent me for iron infusions, since my stomach couldn’t tolerate iron supplements. I was pretty scared, especially since the disease was still new to me. With the help of very nice nurses, I made it through 3 infusions, and it made a huge difference in my energy level! At that time I had never heard of anemia of chronic illness. I realized how important it is to get bloodwork regularly too. Ng Great post. For me, it was pain medication that was the biggest hurdle. I felt that with everything else I take (MTX, Plaquenil, biologic & etc) regularly, ys the occasional burst and taper of prednisone that that should be enough. I felt that taking pain meds (other than nsaids) were just me being “overly sensitive” to pain. That is until my latest flare. The past few months would have been unbearable without Norco and Tramadol. I hate that I have had to take these. I feel like I’m less strong than other people. I feel especially bad when another PWRD comments on my choice to use pain medication. I’ve also been terrified I’ll get addicted. Luckily for me, I have a mother who isan RN anda great Rhemy. They both have assured me that I am nowhere near ‘drug-seeker’ stage. I apologize for the typos. My phone was being snarky and would not scroll to let me fix anything. 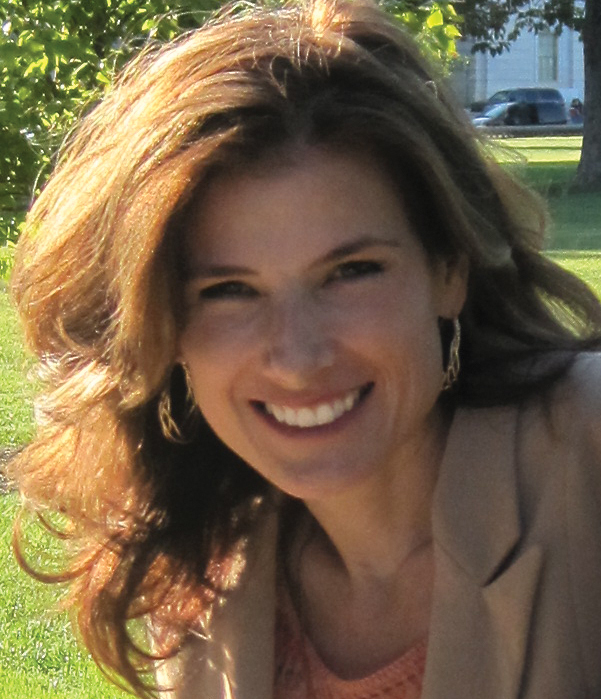 Hi Kelly Thanks for your blog. I’ve been petrified of taking steroids and after 1.5 years of suffering I finally got a RA diagnosis. I had to switch Dr’s to find this out. They did a VECTRA test and found out I actually have severe RA. I’ve been through so much pain in the last 18 months, I’m only 34, I can’t believe you’ve had this since 19. I started enbrel on Friday, it’s been less than 3 days. I went from hardly being able to walk at all last week and feeling deeply embarrassed out in public over shuffling like a 90 year old, to walking normal today! I truly can say it’s a miracle and hope it continues (please,if you have any advice please email me or reply). I would have been scared out of my mind of medications a year ago, but not being able to walk normal, ant to move with extreme pain I feel like I couldn’t be on enbrel fast enough! The steroids scare me and I’ve managed to only do 2 steroid shots in the last year. I never felt good about those. I’m still frightened of Predisone. Having a huge family history of osteoporosis and being 38 years old and already in osteopenia, I am choosing to save my bones as much as possible. While I am still able to go about my daily life (at a reduced pace) without predisone or narcotics, I realize that not everyone is able to. I am still hoping and praying that my newly prescribed biologic and DMARDs will allow me to not turn to the other options of helping with the pain. If I was at a point where I was seriously disappointed with my quality of life, it might push me past the fear of the unwanted side effects. Actually it was on this site a few years ago when I was DX with RD and Sjogrens that I came looking for information. I posted replies a bit here and on twitter #rheumchat and ended up feeling a little cowed, for being afraid of MTX in particular and biologics in general. I was on the usual DMARDS at that point, but it wasn’t helping and Sulfazalazine was eating my stomach so Dr Wise wanted me on MTX and/or Enbrel. Turned out I couldn’t do MTX then because my liver enzymes are always borderline and ended up on Enbrel with skeered the heck out of me, but it worked for a blissful year and I didn’t die of an infection of blood cancer. It stopped working, Humira was useless and make me sicker. Orencia now has been doing a decent job for over a year (other than a recent 6 week round with pneumonia and other lung probs) and adding MTX is now back on the table if 2 more LFTs come up normal after meds and lifestyle changes. Point is, I had to find my own way and along the way I realized, people and other sufferers giving you advice & offering opinions or warnings, are at different places in their lives and disease and their words and feelings may reflect where they are, what dissapointed them, thus affect what they say and how they say it. Completely understandable and I know now how it can be frustrating when someone won’t listen to reason (or what we consider “reason”) as I found out recently with someone (A-Fib, not RD). And yes, of all the meds, Prednisone is still the one that scares me the most, because it works so well and I could get addicted to THAT, never narcotics. But the mid and long term dangers are too great, sadly. Welcome back Kelly, missed you. Is anyone still posting? Everything I have found has 2014 date. I have stopped prednisone 5 mg every other day was making me pukey. Last sick session lasted 14 hrs yellow orange bile letting. Couldn’t keep a sip of water down so kept tubbing to stay hydrated. Ra overactive cysts on hands were crazy. Been 9 daysno change but I feel better. Md june 8 need bloodwork prior. He will be upset for stopping side effects not worth it to me. Hope to shock my glands into working on their own. Anybody have exp. With this. Breast cancer survivor infection prone not a good candidate for biologics. Taking methotrexate 3 pills week celebrex daily. Great topic Kelly. This is a huge issue for me. There may be some over-thinking and general anxiety about my medication decisions, but I think the fear is largely because I have had significant side effects from almost every medication I have taken – and because the RA drugs have unusually high incidences of serious/toxic side effects. I constantly weigh risk vs benefits, which change over time, and whew!, for me, the stress of this decision-making is part of the stress of having RA. Ironically, I overcame my fear of Prednisone years ago when it was the only treatment for a serious RA complication, have taken Prednisone for years – and as a consequence have every single adverse effect from a drug whose risks I understood and chose to take it anyway. So often, no great or easy choices….And yes, when I decide against a medication, my doctors, even my favorite rheumatologist, charts things like “recommended (whatever drug), pt continues to refuse.” As a nurse, I understand the reason for doing this, but still resent that it makes me sound like a difficult patient, when I am only trying to weigh trade-offs and make the best decision. As you know, Kelly, I was VERY afraid to take these “high octane” drugs. But I’m so thankful you were there to talk me through it and help me see the light. I’m doing so much better since I started them. Thank you for your encouragement! 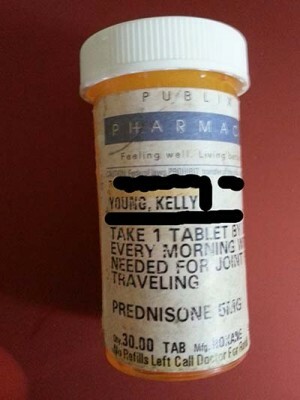 Thank you, Kelly, for making me feel “normal” when if comes to my fear of taking so many medications. I am very grateful to you and your efforts to put things on your blog that have helped me know most of the risks I am taking when I take MTX, prednisone and Enbrel. Thank you for all your hard work and time that you put into this blog and for keeping me informed so I can make better educated decisions about my health. When looking at a list of medication side effects, you have to keep in mind that they are all potential side effects. You may or may not experience any of them. Yes, the list of potential side effects can be scary, but , there is a very real chance of joint deformity, loss of mobility, loss of independence, and progression of RA to include other systems if left untreated. It is a trade-off. Are any side effects you experience “paid” for by enough of an improvement in quality of life? That’s for you and your doctor to decide. Obviously, if you having severe and/or worsening side effects, that is a different story. However, mild side effects often lessen with time, making the trade-off even more worth it. For me, the mild nausea, bit of hair loss, and occasional headache I get from methotrexate and the lowered immune system from Orencia are worth it. Your mileage may vary with your medications. This post couldn’t have been more timely for me. I start Enbrel in two days. I am hopeful and petrified at the same time. Thank you for sharing your past “fears” with us. It is a comfort to know others understand. -During and for about 45 minutes after, the arm they poke is cold and heavy feeling. I can hold and carry things, but I don’t feel like I can. Does that make sense? -I live 30 minutes from the office and by the time I get home I feel like I am starving. I have learned the hard way to eat bland foods, no spicey and no fried the day of infusion, or my tummy has a temper tantrum any toddler would envy. -The next day I am tired, sore, and have trouble concentrating. That’s it! The rest of the month I am good to go. It’s just the first 24 hours really that are a problem. I’ll trade 1 bad day for 27 good ones anytime. I will warn you that it has not stopped my flare ups completely, but they are far less severe than they were before I started the infusions. Don’t be too scared. This too shall pass. Orencia is also available for home injections, one per week. I’ve been taking Orencia this was for 6 months. I hate getting infusions, so I was ready to take Orencia only when it became available as injections. I have been afraid of meds each step of the way (plaquenil, metho, on to biologics), however, my endocrinologist wants to put me on prolia. I am actually petrified. He wanted to put me on it for a thyroid reason, I was going to tell him no. I had a dexa scan and my results were significantly worse than the previous one I had. Even though I am still in the osteopenia stage, it states consider starting patient on medication. If you read up on it, side effects include jaw necrosis. I have accepted possible cancer as side effects from biologics, but jaw necrosis, is that really an acceptable side effect..not sure I can do it. So I went and paid $100 out of pocket (a fortune for me at the time) and consulted with another rheumatologist who was a leader in San Diego rheumatology. I never looked back, I went back to my doc, and said I would take all the meds. Unfortunately, my RA was VERY active and has been for 21 years. I was never weaned off of anything because of a so-called remission, I just kept getting worse. But fortunately, the meds started to get a bit better. I am now on Rituxan and it makes me very ill, I get lots of gas in my intestines (caused by Candida and the steroid infusion that goes with Rituxan). Yes, it is poison/chemo. But it STILL works better than any other biologic I have taken so I make the choice to be ill 2-3 months a year to get back 4 hours a day in the mornings of not being completely disabled. When I had to learn to give myself injections many years ago I WAS nervous, I remember telling myself, “you need to make a choice about this and not let it get to you.” I have been blessed to be able to handle it. some of you have mentioned side effects. Yes, I have osteoporosis, cataracts (prednisone), candida, Sjögren’s syndrome, fibromyalgia, leak gut, Raynaud’s and the list goes on. Our bodies DO break down… But had I chosen the other life–med free–I would have been in a wheelchair a long time ago and very limited. I had to go off biologics for about a year when recovering for the flesh eating bacteria… And I lost a lot of ground, causing permanent joint damage. I have seen first hand what would have occurred had I chosen weaker or no medications. Give yourself grace and permission to choose. But try not to let fears rule you. For example, Rituaxan is one of the strongest meds, especially beneficial to those of us with extreme RA. While Orencia is one of the weakest. If you have extreme RA and your doctor is giving you a choice between the two, that is not in your best interests. Your fear may make you choose the weaker of the 2 and it could permanently cause damage you will regret later. and yes, when I started it I told my husband “so far 84 people have had part of their brain eaten away by this and died so it says if I start to repeat myself, that is the first sign. So get me to the hospital! !” It is true. It is SCARY…. And yet, I must have a sense of humor about it too. Lisa, you are awesome! You put it very well. I am scared of the meds and the side effects, but I chose them for a reason. I decided I had to choose between quality or quantity. I work with a lady with MS. She has no mobility from the shoulders down. She said she chose not to medicate so she could live longer. While I adore her and she’s one of “my girls” at work, I look at her in her 60’s and think there’s no way I can do that to my family. I’d rather have quality of life and make memories with my family, even if the meds cause my early demise, than to live a long time as a burden. My Rheumy assures me the meds won’t shorten my life anymore than the RD will if it’s untreated, but if he’s wrong, at least I will go with the peace of mind that I was no one’s problem at the end. I was very afraid of any and all medications when I was first diagnosed. My brother, who also has RA, told me that I would get to a point of not caring; that point came very quickly. Now I just look at having quality of life as much as I am able and the medications can give me that. My children are grown, so I know that is why I have the luxury of this mindset compared to those with kids still at home. But as we face our fears of the medicines, doctors often treat us as if we take them without thought, or unnecessarily (especially if serum negative or lacking swelling!). How many of us have suffered worse and longer, trying NOT to ask for relief from medications, so as not to be misjudged? As if we have great choices…. as if we would take on the horrible side effects without good reason…. Only thing that has ever helped me is Prednisone (the “necessary evil” drug). As my appearance has changed from it, there is even more judgement from doctors–I think because they cannot bear to look at me, and at the same time cannot really admit of an illness that is so bad that would require such a drug. After all, for the most part, the people who give us these drugs don’t take them–they really cannot relate! We are experts of a kind they will never be, especially since most won’t talk about the drugs and their effects anyways, or consider us reliable sources of information from whom they can learn. I am so grateful we all have each other to discuss these things! Welcome back, Kelly, you have been sorely missed! I’ve been diagnosed and medicated for over a year now. (Methotrexate, Prednisone, and Orencia) I am still afraid of what these medications are doing to my body, especially my liver. I also have Hashimoto’s so I have to medicate for that, too. All of that said, I am a homeopath at heart. So I am a conscientious objector to all of this pill swallowing and infusing; but I make the best of it. My daily meds are my “go pills” and infusions are called “getting juiced up”. It sounds less frightening, especially for my child. I know I need the meds, but I am desperately looking for natural remedies to replace some of this with. The infusion is the least intrusive and scarey, even though that sounds crazy. It’s only once a month. I can grow a pair and deal with it once a month better than the daily issues that come with the other meds. Hi, Kelly. I can’t actually say that I have medication phobia but I certainly don’t like taking all of this medication. I feel like all I do is pop pills (don’t we all?) And, of course, there is the ever-looming question of: what are the long-term side effects of each and every pill that I take and infusion that I get? It is scary. Also, it seems like MY Dr. Laptop can only offer more pills. I recently took the step of consulting a nutritionist and an acupuncturist and the results have been amazing. I’ve already stopped one of my anti-inflammatory meds. Plus, I feel like I’m taking some positive steps instead of being at the mercy of Dr. Laptop. Thanks for bringing up this subject, Kelly. I missed you, too. As usual, such a good topic! After close to 5 years in from diagnosis, I’m still fighting the meds issue. I can no longer tolerate prednisone, but do take methotrexate after failing all the other FDA approved treatments. I take norco and neurontin daily. The MTX keeps me somewhat comfortable but will never put me in remission, although I am hoping to get into a drug trial at Stanford. I know I feel better and can keep some function in my daily routine if I take the norco and neurontin every eight hours, but of course I play that little game with myself, “I feel ok, I don’t really need to . . . ” and then I find myself spiking a fever, unable to move from pain, and it usually takes several days of conscious dosing to get back to where I was before. You would think I’d have learned, I’ve done this so many times! It’s just very hard to accept that this is the way my life is, and that if I want to do things in and with my life I have to take meds. I’ve also heard the comments, “well you take so many medications, you’d feel better if you quit them all,” and hurtfully enough, from immediate family members. I am getting better about this, I am setting alarms so I take meds on time, even my weekly MTX injection instead of putting off a day or two. But it’s hard, all the same. This has been a daily struggle for me for almost 3 years. I feel horrible when I am off the meds for a while, then I’m back on the pain and destruction subside some, life feels more normal, then I worry about the side effects. Up and down, up and down. Hurt or not? side effects or not? I’ve been on Prednisone, Mtx(I refuse to do that again), Plaquinel, Cimzia, and the latest and my favorite so far Xeljanz. My favorite because it’s 2 pills each day, but after only 8 months I had to stop (blood counts dropping). Now I am on no meds, needless to say the pain is getting severe, the movement is fading fast, along with my happy. I refuse to take pain meds, I have a fear of addiction if they stop this pain. What’s next? only the new Rhuemy knows, my good Dr moved away. All these meds are scary, but this disease is scarier. I’ve had growing fears about meds, even though I “only” have chronic fatigue and do not have to deal with pain or progression in my physical body as you guys do with RA. I’ve started having reactions to more and more foods over the years, and to almost everything I’ve tried in the past 7 or 8 years (even little things like digestive enzymes and probiotics cause unpleasant symptoms for me without overt benefit). Essentially, my body has less tolerance for input and I’ve become “risk averse.” I’m tired of trying things and risking more symptoms than I already have. I recently started with a new doctor and, despite Dr Well-Read knowing nothing about me or my 15 years with my disease, it was implied in a subtle indirect way that I needed to try at least one of the meds on the list we’d just discussed. To me, it felt like the Dr’s way of assessing my desire to get better (I needed the Dr to fill out my disability paperwork, which can definitely be a difficult place for both doctor and patient, especially with an undiagnosable “subjective” illness) and not just do things my own way (As a doctor turned psychotherapist I’ve been exploring and working with my fatigue through the long-term effects of trauma on my nervous system instead of meds, since they are all only guesses with chronic fatigue). I feel buoyed by the comments and how similar those of us with a chronic illness struggle with experiences of being judged and misunderstood. I feel buoyed by the courage. And how, as the result of chronic illness, we keep learning how to be kind to ourselves. To trust ourselves. To not judge ourselves so harshly anymore. Thanks for sharing this Kelly. Actemra Reactions: After exhausting the benefits of Methotrexate, then Remicade which went well until they stopped working. I began infusion of Actemra 2 months ago. Unfortunately my reactions were extremely unpleasant. We thought it was just a bad week and tried a second infusion 4 weeks later. I just want others to know in case they experience similar problems. I was ok until 8 hours later-which confuses the doctors regarding an infusion reaction. My stomach hurt, with acidic spasms and cramping. I had chills and sweating, dizziness, headache and loose bowels. Also had pain in lower back. My good doctor said that my symptoms were unusual but he accepts my report. We may try Orencia. Naturally I am a bit afraid. Any problems with Orencia? Thanks and good luck to everyone. In the year and three months since diagnosis, rheumatologist prescribed oral methotrexate and plaquenil along with a depomedrol shot in the office. Was scared of all. Refused to take MTX for a while and just took plaquenil. Rheumatologist told me plaquenil had taken me as far as it could. I started back on MTX and it made me sick on the couch more than usual for at least two days a week. Nausea and GI issues. So rheumatologist switched me to Arava and kept the plaquenil and then I had a reaction to the Arava. So she started me on MTX shots with the plaquenil. I gave myself the first shot with an insulin syringe last Saturday with great trepidation. Felt kinda crappy that afternoon, but nothing like oral and it only lasted a few hours. Giving myself a shot was pretty bizarre. Will give it a decent trial. Lol, my husband was gonna give the shot, but he got a little queasy. So I just did it! I am not crazy about having to try so many meds but it is better than being disabled, which I was prior to and at diagnosis. I have severe stiffness in my fingers and knees – particularly in the morning. (I’ve had it for a few months.) Tests showed high rheumatoid factor. The value of my C – reactive protein (CRP) score was 25.40. My doctor ordered me to take 20MG of Prednisone 3 times a day before he left for Thanksgiving. I doubt that I can reach him until Monday. He is trying to have the rheumatologist see me in January. I asked people about it. They tell me that it is a high dose of a dangerous drug with big side effects. Is this drug just for pain-relief? If so, then perhaps I should give myself less. Should I give myself 30MG per day, should I hold off until I get to speak with my doctor and learn more, or should I trust the doctor’s instructions and drug myself up? I am so torn. 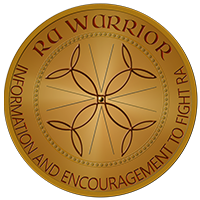 Thank you for all the information on RA. I am the fearful one when it comes to taking a RX prescribed by my RA MD. I have had RA for 3 years and my MD wants me to begin any RX. My RA was so bad that I had to take a predniSONE 6 pack, 6,5,4,3,2,1. I had immediate relief and what a change of energy and emotions I felt. Now I am really trying to focus on getting the courage to take the RX. I have been blessed because after taking the predniSone, I changed something???? or it could be lemons, I have not had the pain. My fingers get stiff in the mornings and my knuckles are swollen but no pain!! I am fearful of the RX because my father, mother and sister all took RX and still had the battles with RA or another disease before they passed. I am 61 years old. I just started this journey and I am so happy that I finally started treatment. I am on prednisone while I start my MTX, which has not been great thus far. Thanks for all of your info since I am new to this whole thing. Good morning everyone! I am so grateful to have found Kelly and all of you. 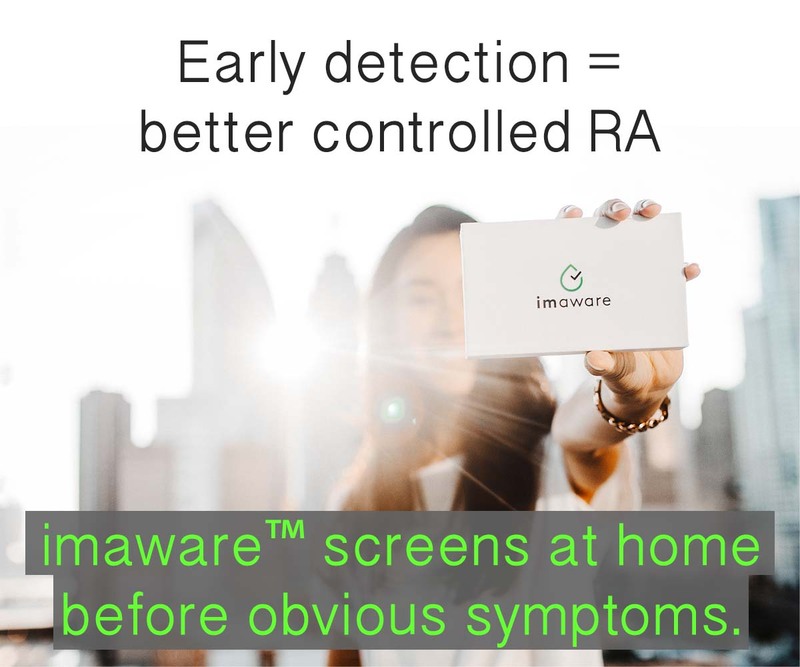 I was originally diagnosed with RA almost three years ago and refused to see a Rheumatologist because I had been studying the medications used for RA and frankly, they terrified me. I have been treating myself holistically for the last 4 years and the commercial medications are the exact opposite of what I have been practicing. I would like to say however, that after my second injection, I feel better although I am exhausted. I took my second shot yesterday, and today I can actually open the blinds with one hand. I would feel silly telling most people that, but I know you all understand. I noticed last week that my course follows what others have said: a couple of days of exhaustion followed by a couple of days of feeling a little more “normal” followed by the slide into pain and limited function. I am so hopeful for this to work because I feel so bad these days. I don’t know yet what actual side effects I will have from these, but will report in later when I have taken more of them. Prednisone is another matter. When I was first diagnosed with severe, uncontrolled asthma 25 years ago, I was on Prednisone for 3 years and put on 70 pounds that I have not been able to lose most of since that time. I am terrified of putting on more weight in spite of being vegetarian for 30 years, and doing my work out every day. For those that take it, I just offer my empathy for the amount of pain you must be experiencing and my wish and hope that you will feel better soon, as I hope we all will. I was so happy to come upon this site. I have so much fear with the biologics(and the tv commercials definitely do not help). My RA diagnosis came after almost dying when no one knew what was going on with my lungs. Daily I was starting to breath heavy and tire upon any exertion, and finally I had to be rushed to ER. I thought my asthma was the problem, but the doctor said the on the xray my lungs looked like shattered glass and a nodule in three lower left had them thinking for two years it was possibly cancer. My pulmo doctor put me on a very high dose pred for over a year (80mg) and that got everything under control, though my lower left lung line is scarred and useless. My primary then suspected auto immune and sent me to the Rheumatologist who finally diagnosed RA. I am allergic to almost all other meds but the Arava, and it worked. Then this winter I underwent a lot of stress and flared badly. She started Arava again and prednisone but wanted me to start a biologic. With my bad lungs I am scared to death. Afraid of medicine? Well, yes. As many RD patients know some meds work, some don’t, some give you really bad side effects, some don’t, some give you allergic reactions.Back and forth, like an experiment. But really isn’t that what they are doing? Experimenting with us? I am on Humira right now my second month. My favorite RX “enbrel” quit working on me again. So, a new drug for me. I am not sure how I like it. I am so tired I fall asleep a couple times a day and sleep at night. So, I don’t know if the new drug is doing it or my thyroid medicine needs adjusting? My sinus’ hurt, my throat hurts and I am depressed. Anyone use Humira and have these side effects? Thanks to Kelly for a place to express myself..2009 was my official diagnosis of RA and things that come with it such as fatigue, pain swelling and a ton of medications. I was immediately put on prednisone and RemicIde and thought I would go into remission. I never had any remission but did feel somewhat better. Three years later I was diagnosed with chemically induced Lupus. There goes the Remiicade and was switched to Orencia and still of course taking prednisone. I take 4 mg a day along with a host is other drugs and my skin kept getting thinner to the point that a touch would bruise me. I know have eczema. It’s a merrygoround which keeps getting worse. Thank you all four your posts.